This is a session of Sound healing and a short Life Guidance to help you regain balance, clear your energy and through that affect your Life in a positive way. The vibrational changes in your Being always manifest in your life and the physical world!! This session can be done regularly, as a maintenance procedure! It's like taking a shower that clears, cleanses, balances all the levels of your Being - physical, emotional, mental, ethereal. A short Life Guidance is included in the session in order to help you with current matters in life, giving you practical and spiritual tools to move forward, to raise the vibration in your life even further. This is a wonderful session that will help you feel more balanced. It will help you move through life with more ease and grace. or we can take a general look to see what's going on and then heal and balance whatever is needed. The session involves working directly with Spirit and allowing the Spirit to come through me in a way that is appropriate for your benefit (and for the Highest Good of all, and in Service to All). 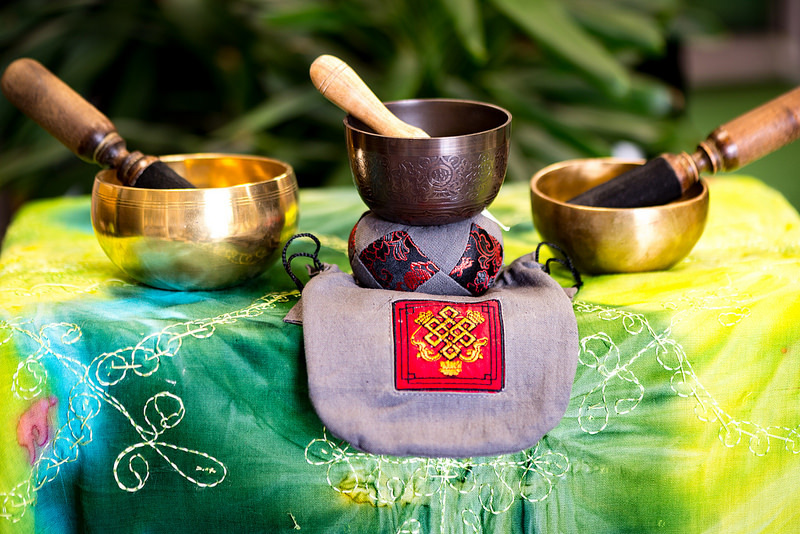 Sound healing involves chanting, singing channelled melodies and the use of Tibetan Singing Bowls and Koshi chimes. I will also be using crystals, cards, mantras if I feel guided to do so. This session is channelled and specific to you in the moment. I highly recommend it as a one-off session as well as a regular balancing "maintenance" session. In person or via Skype/phone. Suitable date and time can be arranged. The session is done online via Skype or phone or in person in Glasgow, Scotland, United Kingdom. Once you book I will be in touch via e-mail. Please leave your e-mail address in the "Special notes" field upon booking, or I will contact you via the e-mail you use for Paypal payment if you pay via your Paypal account. Payment is possible via the secure PayPal "Buy now" button below or via bank transfer (ask me for details via e-mail at ExpandingC@gmail.com). Please note that you do not need Paypal in oder to make a payment via the "Buy Now" button. ​You can contact me at ExpandingC@gmail.com or via the website Contact form. I am looking forward to the healing session together.